Why provide a forensic transcription translation? Recently, I was asked if I could be an expert witness regarding whether the interpreting provided in an interview that was recorded on video was accurate. I would go to the attorney’s office, watch the video and be deposed regarding the accuracy of the interpreting in this video, and later be ready to testify in court. This seemed unadvisable according to best practices published by NAJIT. According to the Oregon Judicial Department Best Practices for Working with an Interpreter, having an interpreter provide interpretation of a recording is not recommended for many reasons. The following is a sample of some of the reasons. From an access to justice perspective, it is necessary to provide a full version that includes both the transcription and the translation to both parties, thus complying with the same rules for evidentiary written materials submitted in a non-English language. The interpreter is required to be a neutral party in the proceedings, but the person providing interpretation on the recordings is an expert witness on the evidence presented. This removes the interpreter’s neutrality in the case. Interpreters are required to interpret without explanation. In a transcription-translation, explanatory notes are provided. The on-site interpreter is able to clear up slang/code terms by asking direct questions. When dealing with a video or sound recording, the FTT professional needs time to research the term. Transcription software, which starts and stops the recording very accurately and allows us to loop a short section. It also allows us to adjust the speed of speech without altering the recording for better accuracy in transcription. Access to a wide variety of dictionaries, including dictionaries of slang and regionalisms used in every Spanish-speaking country in the world. The ability to review our product before turning it in since it will be scrutinized by others. Translation always involves the ability to review our work. The most updated best practice is clearly explained in Fundamentals in Court Interpreting, quoted below. the fourth column contains the English translation. The legend containing all symbols used in the FTT document should be conveniently available in the document to assist any client’s reading. The use of this format promotes readability and allows for efficient comparison of the discourse with other versions, should a challenge arise. There is a three-column sample on page 7 of the National Association of Judiciary Interpreters and Translators (NAJIT) General Guidelines and Minimum Requirements for Transcript Translation in any Legal Setting, showing how to set up the columns, certify the translation, and develop a cover sheet. However, the standards have been updated since its publication and a four-column format is currently recommended. Ideally, the same person does the transcription and the translation, and that person has interpreting and translation skills. NAJIT and other associations supported a description of transcriptionist/translator. If the work of transcription and translation are separated, it is essential for the translator to have access to a digital copy of the transcription and a digital copy of the audio source to be able to incorporate metalinguistic data. When the project is significantly large, it is often divided into sections for a team to produce the initial draft. All drafters produce full transcription-translations of their assigned sections and are under the same confidentiality and non-disclosure rules. Additionally, the team leader is responsible for performing a thorough review of the work of all drafters and is solely responsible for providing expert witness testimony in court regarding the final product. The FTT professional must be willing to take the stand, be questioned on every single utterance of the document, and attest to the accuracy of the translation in court. FTT professionals often document their terminology research so as to be ready for these questions. Because taking the stand involves having a very deep knowledge of the recording, translators and interpreters run a significant risk of being wrong if they evaluate a recording on the spot during a deposition or in court, instead of doing a full FTT. According to the Oregon Courts, this would not provide proper access to justice and is not considered best practices for the use of an interpreter. See Appendix E, page 35 of Oregon Judicial Department Best Practices for Working with Interpreters. Salazar, Teresa C. and Segal, Gladys. 2006. Onsite Simultaneous Interpretation of a Sound File is Not Recommended. Accessed 06/23/2018. https://najit.org/wp-content/uploads/2016/09/Onsite-Simultaneous-Interpre.pdf. ASTM International Designation F-2089-15 Standard Practice for Language Interpreting. West Conshohocken, PA.
 Oregon Judicial Department. 2016. Oregon Judicial Department Best Practices For Working with Interpreters. Accessed 06/23/2018. https://www.courts.oregon.gov/programs/interpreters/policies/Documents/OJD%20Best%20Practices%20for%20Working%20With%20Interpreters.pdf. Dueñas González, Roseann, Victoria F. Vásquez, and Holly Mikkelson. 2012. Fundamentals of Court Interpretation: Theory, Policy and Practice. Durham: Carolina Academic Press. National Association of Judiciary Interpreters and Translators. 2003, revised 2009. General Guidelines and Minimum Requirements for Transcript Translation in any Legal Setting. Accessed 06 23, 2018. https://najit.org/wp-content/uploads/2016/09/Guidelines-for-Transcript-Translation.pdf. 2015. T&I Descriptions. NAJIT. Accessed 06/23/2018. https://najit.org/wp-content/uploads/2017/03/TI-Descriptions.pdf. Teresa Salazar, MA, Translation and Interpretation, contributed to developing the content of this article. Helen Eby is an ATA-certified translator (Spanish > English) and a certified DSHS Translator (English > Spanish) by the Washington State Department of Social and Health Services. She is also a Spanish state-certified (Oregon) court interpreter and a medical interpreter certified by the Certification Commission for Healthcare Interpreters (CCHI), the National Board of Certification for Medical Interpreters (NBCMI) and the Oregon Health Authority. She has held volunteer positions in the ATA Spanish and Interpreting Divisions and in NAJIT, and is currently on the leadership team of the ATA Savvy Newcomer. 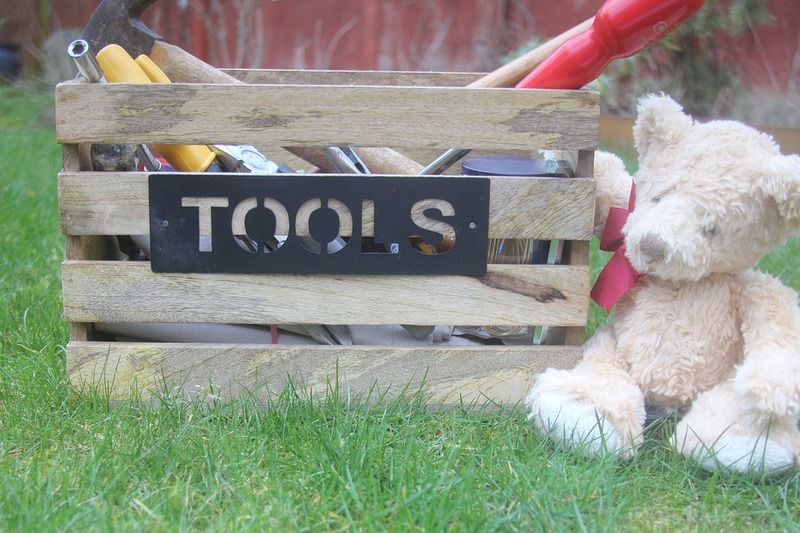 The Certification Toolbox: Get Ready! Late fall and early winter are traditionally a slow time for ATA’s Certification Program, since no exam sittings are scheduled between ATA’s Annual Conference and the beginning of the new exam year in March. Certification graders take advantage of this respite to select new exam passages, fine-tune grading standards, and tend to other housekeeping tasks. This period is also a good opportunity for prospective certification candidates to get ready to take the exam in 2017 by exploring ATA’s toolbox of exam preparation resources. Here’s an overview. It can’t be said enough: completing a practice test and studying the results is one of the best ways to prepare for the exam. ATA practice tests are retired exam passages that the candidate translates at home and returns to ATA Headquarters. Practice tests are evaluated by graders in the same way as the actual exams. However, unlike the actual exam, the candidate receives a marked copy, showing each error with a brief explanation as needed. This is a terrific way for prospective candidates to see what sort of text they could encounter, how the grading standards are applied, and what skills they might need to work on to pass the exam. Best of all, practice tests will be available online in 2017. 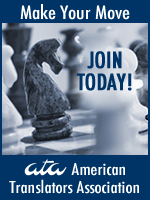 ATA is committed to employing new media for preparing candidates for the certification exam. The latest example is a webinar given in September by Michèle Hansen and Holly Mikkelson. If you missed it, you can purchase a recording from ATA’s website: http://www.atanet.org/webinars. Stay tuned for other new media approaches to candidate preparation! Translators interested in certification often overlook the valuable information readily available on ATA’s website. The Certification Exam Overview and the Frequently Asked Questions are a good place to start. (See links at the end of this column.) 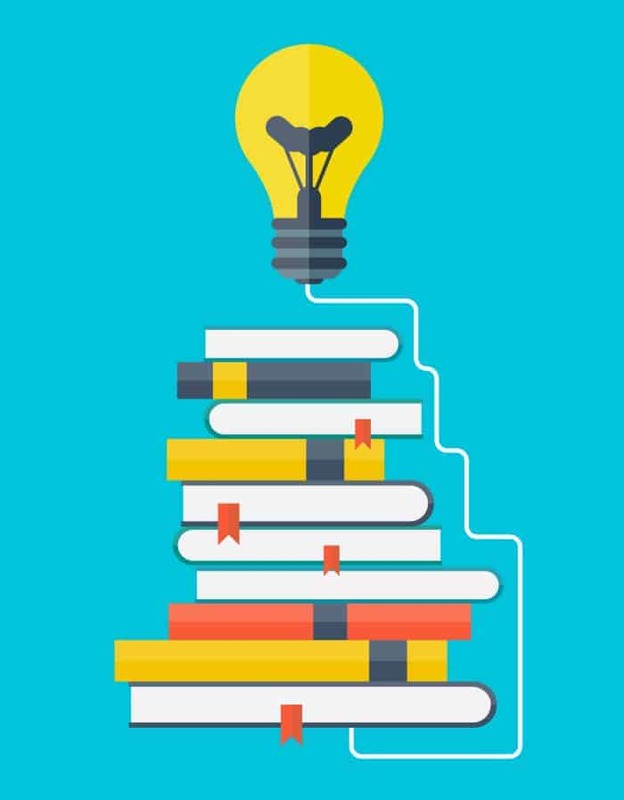 If you’re contemplating sitting for the exam, be sure to check out these essential resources. This year’s Annual Conference in San Francisco included workshops to prepare candidates for the certification exam in four languages: Spanish, French, Japanese, and Italian. These in-depth sessions, moderated by certification graders, are extremely popular and considered highly useful by prospective candidates. Watch for them at next year’s conference in Washington, DC—but also think about asking your local chapter or affiliate to schedule a session at your local or regional conference in 2017. One overlooked and important resource for candidates is the Into-English Grading Standards (IEGS). This document, downloadable from ATA’s website, sets forth standards applied by all ATA graders of foreign-into-English language pairs when assessing a variety of issues, such as proper punctuation, nonparallel constructions, and split infinitives. It’s a must for exam candidates translating into English, and is especially useful at computerized sittings, since candidates can access the searchable PDF version on their computers. If you don’t translate material on general subjects on a regular basis, and/or you have not done timed tests lately, independent practice should be part of your personal exam preparation toolbox. A simple way to hone both skills—working with expository texts and working quickly—is to search the Internet for texts that resemble the practice test in your language pair. Good sources are articles from online publications written for a general (but educated) audience. Download articles that interest you, copy them into Word files, and set aside time to practice translating parts of them into your target language. If you’re very busy (as most of us are! ), just start with one paragraph at a time, minimizing your use of reference tools (print and online dictionaries). After a few practice sessions, you’ll likely see your speed and facility improve. The final tool is not something candidates can prepare for in advance, but it’s still an important part of the exam: paying close attention to the translation instructions that accompany each passage, specifying the source of the text, the reason it is being translated, the audience addressed by the translation, and the medium in which it will appear. This opening statement, which precedes each exam text and, in fact, should be considered part of the overall passage, gives the candidate important information about how to approach the translation task, especially with regard to style and register, but even in such basic regards as terminology and usage. David Stephenson serves as chair of ATA’s Certification Committee. Contact: david.translator@gmail.com. This article was first published in 1997 on the NCTA (Northern California Translators Association) website in the earliest days of the web. It’s a window into the translation industry as it existed more than 20 years ago, but the advice is more important than ever in today’s supercharged technology and business environment. If you ever come across a podiatrist who insists on surgically removing your spleen, you will soon discover why specialty knowledge is important. If you ever advertise yourself as a translator who can “do any subject,” you will look like the hapless podiatrist. The process of choosing specialty fields necessarily means not choosing many others. All good translators recognize the limits of their knowledge and turn down (or refer to colleagues) assignments that may imperil the quality of their product. The act of referring work to colleagues goes beyond charity: It protects the initial translator’s reputation by deflecting work that could deflate a hard won reputation for quality. It also promotes the notion that what translators do is sufficiently complex and demanding to require specialization. This happens to be true. If you work with direct clients (or the less reputable translation agencies) it is imperative to stand up and defend the integrity of your product against the full arsenal of assaults: Impossibly shrinking deadlines; the lost 40 pages that must be completed on the original deadline or the condemnation of your translation by the client’s sister who took a semester of French in college. Reputable translation agencies will fight this battle for you by establishing policies and practices that protect their product as well as their in house and freelance translators. The policies I have established at ASET place translators and editors in the role of decision makers not only on production and quality issues, but also on whether jobs are accepted by the company at all. Direct clients, on the other hand, have hired you the translator ostensibly to deliver expertise and a product that the client is unable to produce on his own. So, forget the mantra that “the client is always right.” In truth, there are good and bad clients, and the bad clients are almost always wrong when they insert themselves into the translation process. The good clients in the translation industry grasp this intuitively and recognize that they have hired a translator (or translation agency) to deliver a service they cannot. These clients will rely on the translator to look out for their interests on a level far in excess of their ability to judge it. They will give latitude sufficient to operate in a manner consistent with the translator’s quality standards, which in the end can only benefit them. Translators run into trouble when good clients start down the road toward bad, and the translator is foolish enough to actually follow the client down this road under the guise of “meeting the client’s needs.” This is idiotic and self destructive. What clients need to be told is that they are about to enter a minefield. No set of actions that places client circumstances above the quality level of the product (“I don’t care about quality, I need those 40 pages overnight!”) is ever acceptable, period. There is no excuse for a translator to act as a co conspirator by bowing to client demands that compromise that translator’s product. In the same way that no sane surgeon would ever agree to do a six hour triple bypass operation in a mere 45 minutes to meet the patient’s needs,” no translator should agree to butcher a translation toward the same end. The simple act of claiming authorship shatters the “black box” invisibility of the translation process and reinserts translators into their rightful place as craftsmen of the translation product. A host of respected translators, including John Bukacek in the U.S. and Chris Durban in Europe, have long promoted translators’ signing their work as a means to elevate public recognition and appreciation for the role of translators. The long absence of translators in the public consciousness has had many troubling and costly consequences for the profession, including a near universal lack of appreciation for what translators do—even among clients who should know better—and absurdly optimistic public expectations for machine translation and other automated solutions for leaping the language barrier. Translators who sign their work are also expressing confidence in their product in public while demonstrating the integrity to stand by their work. One of the fastest ways to get rid of a plumber is to tell him what rate you will pay him to come fix your sink. The fact that plumbers slam down the phone at this kind of treatment and some translators do not is astonishing. Freelance translators are well advised to set rates at their own discretion and quote those rates to translation agencies (also referred to as “translation companies,” a preferred rendition, in this article). I can think of nothing that interests me less than what a translation company tells freelance translators it “will pay.” In fact, a reputable translation company can readily be identified by its request that you quote your rate first. There is plenty of room for good faith negotiations between parties that approach a transaction as equals. Public relations and promotion of translation has been so catastrophically poor for so many years that it is a miracle the public knows we exist at all. There is no unified public policy promotion, advocacy or lobbying for translators on the national level, and extremely scant promotion through the popular media. Even in such a lackluster environment, translators are blessed by the fact that we all work in a field that the public finds intrinsically interesting (imagine the challenge of promoting, say, industrial fluids to the media.) Some of the most visible media coverage for translation, including magazine articles in the international trade press, major metropolitan newspapers and in flight magazines, as well as radio interviews and commentary, have been initiated in the last two years by individual working translators, interpreters and translation companies on the national, regional and local levels. Translators in Europe have begun a major client education initiative to reach out to industrial translation users. Translators in FLEFO report on their college campus appearances to promote translation and several of the more active FLEFO translators and interpreters share source information and feedback from client education and public relations efforts. Good translators do not become great translators by study, research or practice alone. These will get you to “good,” perhaps “very good,” and certainly are necessary steps to solid competence. Great is much, much more painful. Great translators—the ones who really stand out—have had their translations mauled, picked over, dissected, disemboweled, examined, edited, published, revised and amended by their translation colleagues, editors and reviewers, sometimes for years. Each successive translation then draws on the collective experience of the translator as well the entire host of creative input and guidance from those translation colleagues and editors. All translators benefit to the extent that their work is “at risk” for examination, revision or review. Translators are best served in their professional development by establishing and maintaining a close community of cooperative and disciplined colleagues whose talent and expertise help to guide and focus the intensely personal creative act that is translation. Translator, linguist, media commentator and business executive Kevin Hendzel draws on over 35 years of experience in the translation and localization industry in a broad range of roles, including translator, language lead, company owner, lexicographer, media commentator, and national event panelist. His blog, Word Prisms, is an award-winning blog on translation, technology and the modern business of language, and has over 6,000 registered viewers from all over the world (http://www.kevinhendzel.com/blog/). As the official translator of 34 published books in physics and engineering and 10,000 articles for the Russian Academy of Sciences, Kevin Hendzel is also one of the most widely published translators in the English language. Kevin’s professional background includes an extended period working on the US-Russia Direct Communications Link, also known as the Presidential “Hotline,” where he was Senior Linguist of the technical translation staff. Between 1992 and 2008, Kevin worked to advance ASET International Services Corp. to become the leading firm on all nuclear programs in the former Soviet Union before selling the company with his business partner in 2008. 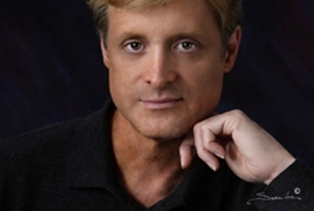 Kevin was the original architect of the ATA national media program launched in 2001. Between 2001 and 2012 he served as National Media Spokesman of the American Translators Association. During that period he appeared on CNN, FoxNews Live, ABC World News Tonight, CBS News, NBC News, MSNBC, National Public Radio, Voice of America, PBS, The New York Times, the Washington Post, the AP wire service, Reuters, The Atlanta Journal-Constitution, USA Today, Wired and many more outlets promoting translation and interpretation services as vital to commerce, diplomacy, security, and culture. As chair of ATA’s Translation and Interpreting Resources Committee, my goal is to gather information on resources of all kinds, including those related to professional development. The following discusses short-duration online training that does not lead to a certificate or university credit. Webinars are online seminars—a sort of mini-class on a specific subject. Normally, you pay a fee and receive a link you can use to “attend” the talk live. When I was chair of ATA’s Translation and Computers Committee (2009–2011), I created ATA’s webinar series after talking to Lucy Brooks, who was running a similar series for the Chartered Institute of Linguists, a sister organization in the United Kingdom. I ran the series for four years, then handed the baton to Karen Tkaczyk, who served as administrator of ATA’s Science and Technology Division (2010–2015). Lucy now runs a for-profit webinar series under her own brand, eCPD. To provide readers with an in-depth look at how webinars for translators and interpreters are organized, including the selection process for speakers, I decided to interview both Karen and Lucy. Naomi: What are the advantages/disadvantages of webinars over in-person events? Lucy (eCPD): Webinars completely eliminate the need to travel. This clearly saves two things: money and time. In-person events can be presented many miles from a translator’s home or office. It takes time to get there, and if the event is really a long way away, accommodation and food are required along the way. Webinars tend to be offered in bite-sized chunks, ranging from an hour to 90 minutes. It’s easy to block this amount of time in your schedule, even on the busiest days. If you have to miss the live webinar for some reason, you will usually be able to view the recorded event after it’s over (more than once if you desire). Of course, in a webinar you don’t get the same interaction with the speaker. You cannot see his or her body language, nor do you get to meet your fellow attendees. But if you attend a live webinar, you get a chance to ask questions and join in the interaction that is provided in many webinars. To participate in a webinar, all you need is a computer with an up-to-date operating system and decent broadband. I find that the best option is a PC or Mac with dedicated Wi-Fi. Naomi: How do you ensure top quality in your webinars and courses? Karen (ATA): We contact potential speakers based on their reputation in the industry, conference evaluations, and personal references. ATA divisions also refer speakers to us, with topics they know will be useful to their members. In fact, we encourage all divisions to do that. In particular, we would love to offer more language-specific sessions. We also look for speakers who are knowledgeable in business management for freelance translators and interpreters. There is no foolproof way to find and select speakers. Some may be excellent at presenting in-person, but not as good at presenting online. The reverse is also true. The skill set is slightly different. Some people can train effectively when looking at a blank screen, whereas other speakers need to see the audience’s energy and become dull or dry without it. ATA’s job is to use all the Association’s resources to find the best of our own, as well as great speakers from outside ATA. Lucy (eCPD): For our own program of events at eCPD, I personally seek out speakers. I use my extensive knowledge of the industry to get top professionals, such as Gwen Clayton, Jason Willis-Lee, Andrew Leigh, and Joy Burrough-Boenisch, to offer presentations and courses to translators all over the globe. I also look for top professionals in other industries—such as Christopher Barnatt (3D printing), Ken Adams (law), and Ivan Vasconcelos (oil and gas exploration)—to pass on their expertise in their areas and to give translators working in their fields a thorough background in the subject. Naomi: What kinds of webinars do you have? Karen (ATA): We have some language-specific webinars, but most of ATA’s webinars focus on business practices and specialty subject areas. Recent business webinars have covered negotiating contracts, terminology management, marketing, and proofreading. Subject-specific webinars have included intellectual property law, patents, the pharmaceutical industry, and medical interpreting. There are around 150 titles in the library, so there is a lot from which to choose. There is also a section for interpreters. Many of the videos are offered in languages other than English (e.g., Polish law, a French translation workshop, the German legal system, and Spanish law). Naomi: How do webinars compare to longer courses, like on Coursera? Karen (ATA): Coursera and other Massive Open Online Course (MOOC) providers are an amazing resource. For subject matter expertise, they are hard to beat. Having said that, MOOCs usually last several weeks and require a much greater time investment than webinars, so they will not suit everyone. Lucy (eCPD): Because the webinars are short (although they sometimes come in a series of three or five lessons), they are less of a commitment than taking a course on Coursera, for example. But the webinars we produce are made with translators in mind, whereas MOOCs are not. Naomi: What do webinar attendees say about the webinars after taking them? Karen (ATA): Post webinar surveys ask attendees to rate content and speaker performance, as well as whether they would recommend the webinar to a friend. On average, 80% to 85% of attendees rate ATA content and speaker performance as “good to excellent.” An overwhelming majority say they would recommend the webinar to a friend. Some presenters draw rave reviews; others get quieter compliments. It’s hard to please such a diverse audience, but attendee surveys show we are getting it right as a rule. Lucy (eCPD): On the whole, attendees are very appreciative of the medium. It allows people who have home and family commitments or who live far away from a large city to have access to high-quality training tailored precisely to translators and interpreters. Because we keep the quality high, the satisfaction rate is very high. So high, in fact, that eCPD Webinars is now an accredited provider of CPD (continuing professional development, or continuing education), upholding the demanding standards of the CPD standards office in London. We are also an approved training provider registered by the official Dutch government office (Bureau Btv). Naomi: If someone misses out on booking a live webinar, can they purchase it retrospectively? Karen (ATA): Absolutely! ATA has a library of recorded webinars available for streaming (www.atanet.org/webinars). There are no limits for how many times the webinar can be viewed, and recordings are available for at least five years. Lucy (eCPD): We usually make a webinar that was broadcast live available in our e-library a few weeks later. Of course, people who view a webinar this way don’t have the opportunity to ask questions, but they can watch the video as often as they like, and all the handouts are available in the form of downloads. At certain times during the year we offer special promotions of our videos from the e-library, making it a very cost-effective way to accumulate continuing education points. Naomi: If someone books a live webinar but cannot make it to the live session, what happens? Lucy (for eCPD and ATA): If you buy a seat at a webinar, whether for an ATA webinar or an eCPD webinar, it’s essential to follow the instructions carefully. We ask you to register for the webinar, but we check the lists frequently and make sure that everyone is registered with GoToWebinar, the service we use to provide webinars, before the start of the webinar. Provided you don’t “cancel” your place, which would mean you wouldn’t show up in the registration database, you will receive a link to the recorded webinar a few hours after the webinar is over. We try to do this within a few hours, but it can take up to 24. In addition, if there is a handout, we send it to you. Lucy (eCPD): Based in the U.K., eCPD is ideally located to hold live webinars at times that are also convenient to attendees all over the world. Some of our CPD courses start at 10:00 a.m. in the U.K., which is probably not ideal for people on the American continents, but great for people in Asia and Australia. Others begin at 2:00 p.m., and even 4:00 p.m., which is more convenient for those in the western hemisphere. Either way, all our webinars are recorded. Attendees who are unable to make the live event can ask questions retrospectively and receive an attendance certificate, provided they watch the recording within two weeks of the live session. After that, they can watch it, but the opportunity to ask questions and give feedback expires. Karen (ATA): ATA webinars are usually scheduled for noon eastern time. That suits most people in the U.S. and many ATA members elsewhere who are a few hours ahead. Naomi: Who runs webinars for ATA? Karen (ATA): Mary David at ATA Headquarters does all the heavy lifting for the logistics and behind the scenes work. Lucy at eCPD takes care of infrastructure. After last year’s ATA Annual Conference in Miami, I was asked if I would like to pick up the member review portion of the process. (Officially that means I run the Webinar Subcommittee of the Professional Development Committee.) I would welcome other volunteers, should anyone love online training and want to help make the program stronger! Naomi: How can someone propose giving a webinar? Do speakers receive payment? Karen (ATA): We’re happy to hear from anyone with subject matter expertise and speaking skills. Contact Mary David at ATA (mary@atanet.org). Speakers receive a stipend of $300 from ATA. Other online training options not mentioned explicitly above are listed below. Lucy Brooks has been in business for over 30 years, and for 23 of these has run a small, successful translation business from her office in the U.K. A fellow of the Chartered Institute of Linguists (translation and language services) and a qualified member of the Institute of Translation and Interpreting, she translates from German, French, and Spanish into British English, concentrating on technical, publicity, business, and commercial subjects. More recently, she has been providing online training for translators and interpreters through her company eCPD Webinars. Contact: lucinda.brooks@btconnect.com. Karen Tkaczyk works as a French>English freelance translator. Her translation work is highly specialized, focusing on chemistry and its industrial applications. She holds an MChem in chemistry with French from the University of Manchester, a diploma in French, and a PhD in organic chemistry from the University of Cambridge. She worked in the pharmaceutical industry in Europe. After relocating to the U.S. in 1999, she worked in pharmaceuticals and cosmetics. She established her translation practice in 2005. Contact: karen@mcmillantranslation.com. 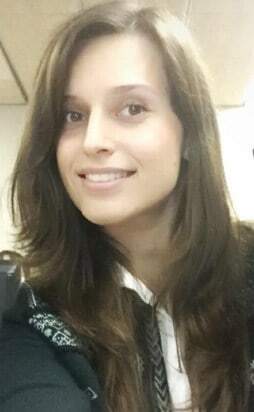 Naomi Sutcliffe de Moraes has a PhD in linguistics (University of São Paulo), a bachelor’s degree in mechanical engineering and a master’s degree in physics (University of California, Los Angeles), and a bachelor’s degree in law (University of London). She translates both Portuguese and Italian into English. She is currently a visiting professor at the Federal University of the ABC Region, Santo André, Brazil. She is chair of ATA’s Translation and Interpreting Resources Committee. Contact: naomi.linguist@gmail.com. The objective of the papers is to draw a panorama of the study of cognitive strategies for the resolution of translation problems, as well as to draw the perspectives of the research. We consider that translation strategies can be of internal support (cognitive type) and of external support (by the use of resources of documentation of all type), and we focus our interest on the first of these two types. Our interest is to analyse cognitive translation strategies employed in the resolution of translation problems in written translation. At the beginning, researches in Translation Studies were based mostly on the product with a particular interest in the translated text as object of study. A few decades ago, investigations were redirected towards human translators, investigating the cognitive processes and the skills required to translate properly, proposing theoretical models and experimental research. 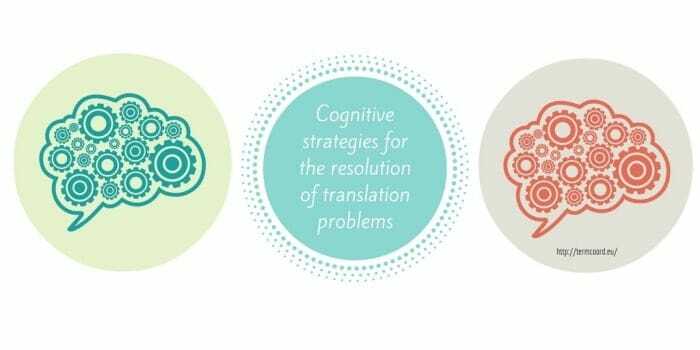 However, there are still no rigorous empirical studies for cognitive strategies for the resolution of translation problems during the translation process. In our communication, we will present how the concept of strategy in other disciplines and in Translation Studies has been analysed. Finally, we will draw the perspectives of the research. The notion of strategy has been studied in disciplines such as Cognitive psychology, Language didactics, Psycholinguistics and Pedagogy. In Cognitive psychology there is a division of (1) strategies for problem resolution and (2) learning strategies. According to Mayer (1981) the used denomination is: heuristic methods and procedures. In Language didactics there are problem-resolution strategies for second language learning. Oxford (1990) is the author who proposed the more complete definition and a classification. She defines strategies such as: “Strategies are specific actions taken by the learner to make easier, faster, more enjoyable, more self-directed, more effective, and more transferrable new situations.” (Oxford 1990: 8). The author proposes the following classification: (1) direct strategies (cognitive, memory and compensation) and (2) indirect strategies (metacognitive, affective and social), (Oxford 1990: 16-21). The definitions of strategies of others authors serve as a complement to Oxford’s proposals (1990). Strategies are called: techniques, mechanisms, processes, thoughts, actions, plans, operations, behaviours, steps, etc. In Psycholinguistics there is no definition or no exclusive classification for strategies, this is why we find the same type of problem-resolution strategies for second language learning as in Language didactics. In Pedagogy strategies are related to Cognitive psychology since this latter science also studies the processes of learning. There is a distinction between (1) teaching strategies and (2) learning strategies. All the studied disciplines have a wide terminological nomenclature regarding the denomination of strategies: heuristic methods, procedures, ducts, thoughts, specific actions, behaviours, steps, techniques, decision-making processes, activities or mental operations, conscious and intentional activities, flexible and adaptive procedures, joint procedures of steps or skills, etc. Strategies vary based on the analysis of each author and discipline that are studied. It is important to highlight the distinction of: (1) problem-solving strategies; (2) learning strategies and (3) teaching strategies. From Honig and Kussmaul (1982) and, over the last three decades, the study of translation strategies has been acquiring greater importance thanks to several empirical studies, such as Krings (1986), Séguinot (1991) or Gregorio Cano (2014) among others. There are also authors like Hurtado Albir (1996, 2001 and 2015) with no empirical studies, but she makes a proposal of definition, denomination and classification of the notion of strategy with several examples in order to clarify the existing confusion around this concept. In Translation Studies there are different terminological denominations for the notion of strategy such as: heuristic methods, procedures, techniques of translation, translation strategies, principles of translation, standards, principles, mental process, mechanisms, etc. Despite the great information regarding translation and cognitive strategies employed in the resolution of translation problems there is a terminological confusion and some different classifications. Krings (1986: 268) defines strategies as “potentially conscious plans for solving a translation problem” and he is based on the authors Færch and Kasper (1983). Séguinot (1991: 82) proposes the following definition “strategies is a term which has been used to refer to both conscious and unconscious procedures, to both overt tactics and mental processes”. Lörscher is based on Krings (1986) and Færch and Kasper (1983) but he has his own definition “a translation strategy is a potentially conscious procedure for the solution of a problem which an individual is faced with when translating a text segment from one language to another” (1991: 76). In these three definitions we note that Krings (1986) talks about “potentially conscious plans” and Séguinot (1991) and Lörscher (1991) are using the term of “procedure” in order to define strategies. Jääskeläinen (1993: 116) proposes her own definition for strategies: “a set of (loosely formulated) rules or principles which a translator uses to reach the goals determined by the translating situation in the most effective way”. The author focuses on “guidelines” or “principles” used by the translator not on “procedures”. 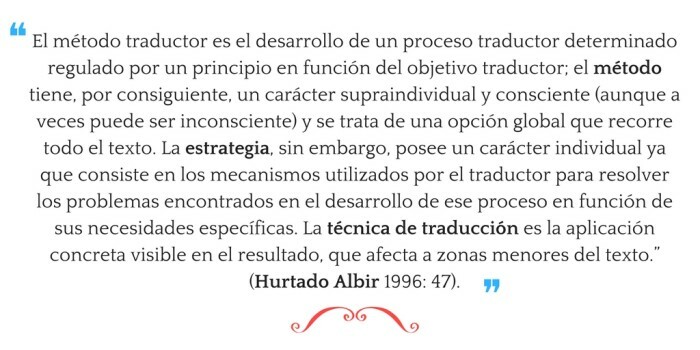 Lachat Leal (2003: 344) defines strategies as “el proceso mental que permite al traductor alcanzar la representación del texto traducido a partir de la representación del texto original“. So the author uses the term “process”. Gregorio Cano (2014: 82) proposes the term “mechanisms” affirming that “la estrategia de traducción es aquel mecanismo que el traductor ha de poner en marcha para resolver un problema de traducción determinado”. Not all the authors we studied propose a classification of the notion of strategy. Only Krings (1986), Lörscher (1991) and Jääskeläinen (1993) do so. Krings (1986) classifies strategies in five categories with one subcategory as (1) comprehension strategies, (2) recovery strategies (with the subcategory of semantically related resources), (3) monitoring strategies, (4) decision-making strategies and, finally, (5) reduction strategies. Lörscher (1991) distinguishes two phases in the translation process: (1) strategic and (2) non-strategic phase. On the other hand, Jääskeläinen talks about (1) global and (2) local strategies. Vinay and Darbelnet (1958) and Hurtado Albir (1996, 2001 and 2015) make a proposal based on their own experience. The limitations to the use of the TAPs as the technique of data collection since they do not give access to unconscious processes and create artificial situations. The use of inadequate data collection instruments. On the other hand, problem-solving strategies still need to be analysed. Progress in conceptual clarification, clearly distinguishing the notion of strategy of other related notions and establishing links with research in related disciplines. Carrying out experimental-empiric research by using large and representative samples of professional translators and translation students with technical and varied instruments (recordings of the translator process, questionnaires, interviews, etc. ); this will allow collecting reliable data on cognitive strategies for the resolution of translation problems and for the acquisition process. This research will allow us to clarify cognitive strategies for the resolution of translation problems. To read the paper, please click on: Estrategias cognitivas para la resolución de problemas de traducción. Communication and Terminology Trainee, Translator, Interpreter, Proofreader and Social Media Manager. Olga holds a degree in Translation and Interpreting from the Universitat Pompeu Fabra, she is specialized in Economics and Legal Translation with “FR” as her B language and “EN” as her C language. She spent her Erasmus in Paris and Rome. She received her Masters in Linguistic and Cultural Mediation from the Università La Sapienza in Rome and concluded a simultaneous interpreting internship in the FAO. She currently studies Translation Studies and Intercultural Studies at the Universitat Autònoma in Barcelona as PhD candidate. She analyses the cognitive strategies in the resolution of translation problems in writing translation. She speaks Polish, Spanish, Catalan, English, French and Italian. You can read her blog at www.20000lenguas.com and follow her on Twitter at @OlgaJeNo. Bachman, L.F. (1990). “Communicative Language Ability”, en L. F. Bachman, Fundamental Considerations in language Testing, Oxford University Press (“Habilidad lingüística comunicativa”), en M. Llobera et al., Competencia comunicativa. Documentos básicos en la enseñanza de lenguas extranjeras, Madrid, Edelsa, 1995, pp. 105-127. Beltrán, J. (1993). “Estrategias de aprendizaje”. En Beltrán, J. y Genovard, C., (eds.) Psicología de la instrucción I. Variables y procesos básicos, Madrid, Síntesis. Canale, M. (1983). “From Communicative Competence to communicative language pedagogy”, en J.C. Richards y R.W. Schmidts (eds. ), Language and Communication, Londres, Longman (“De la competencia comunicativa a la pedagogía comunicativa del lenguaje, en M. Llobera et al., Competencia comunicativa. Documentos básicos en la enseñanza de lenguas extranjeras, Madrid, Edelsa, 1995, pp. 63-81. Chesterman, A. (1998). “Communication Strategies, Learning Strategies & Translation Strategies” en K. Malmkjaer (eds. ), Translation and Language Teaching: Language Teaching and Translation. Jerome Publishing, pp. 135-144. Corpas Arellano, M. D. (2000). La mujer y las estrategias de aprendizaje en la adquisición de la lengua inglesa. Revista Nebrija de Lingüística Aplicada, 4 (1). Gregorio Cano, A. (2014). Estudio empírico-descriptivo del desarrollo de la competencia estratégica en la formación de traductores. Tesis doctoral. Universidad de Granada. Hurtado Albir, A. (1996). “La cuestión del método traductor. Método, estrategia y técnica de traducción”. Sendebar, 7, pp. 39-57. – (2001). Traducción y traductología. Introducción a la traductología. Madrid, Cátedra. – (2015). Aprender a traducir del francés al español. Competencias y tareas para la iniciación a la traducción. Castellón/Madrid, Universitat Jaume I/ Edelsa. Königs, F. G. (1987). “Was beim Übersetzen passiert. Theoretische Aspekte, empirische Befunde und praktische Konsequenzen”, Die Neueren Sprachen, 86, pp. 162-185. Krings, H. (1986). Translation problems and translation strategies of advanced German learners of French (L2). Interlingual and Intercultural Communication, J. Jouse and S- Blum-Kulka, Tübingen, Gunter Narr. Kussmaul, P. (1995). Training the Translator. Amsterdam: Benjamins. Jääskeläinen, R. (1993). “Investigating Translation Strategies”, en S. Tirkkonen-Condit y J. Laffling (eds. ), Recent Trends in Empirical Translation Research, Studies in Languages, Joensuu, Faculty of Arts. – (2010). Looking for a working definition of “translation strategies.” New approches in Translation Process Research. Samfundslitteratur, Frederiksberg, Dinamarca, pp. 375–387. Leal Lachat, C. (2003). Estrategias y problemas de traducción. Tesis doctoral. Universidad de Granada. C. (Coord.) (1994). Estrategias de enseñanza y aprendizaje. Formación del profesorado y aplicación en la escuela. Barcelona: Graó. Oxford, R. L. (1990). Language Learning Strategies: What Every Teacher Should Know. New York Heinle & Heinle Publishers. – (1992/1993). Language learning strategies in a nutshell: Update and ESL suggestions. TESOL Journal, 2(2), pp. 18–22. – (2003). “Language Learning Styles and Strategies: an Overview”. Learning Styles & Strategies/Oxford, GALA, 2003, pp. 1–25. PACTE (2000). Acquiring translation competence: hypotheses and methodological problems of a research project”. En Beeby, A., Ensinger, D. & Presas, M. (eds. ), Investigating translation. Amsterdam-Philadelphia: John Benjamins. – (2001). “La competencia traductora y su adquisición”. Quaderns. Revista de traducció, 6, pp. 39–45. – (2003). “Building a translation competence model”. En Alves F. (ed.). Triangulating translation: perspectives in process oriented research. Amsterdam: John Benjamins. P. 36-60. Pastor Cesteros, S. (2004). Aprendizaje de segundas lenguas. Lingüística aplicada a la enseñanza de idiomas. Publicaciones Universidad de Alicante. Séguinot, C. (1991). 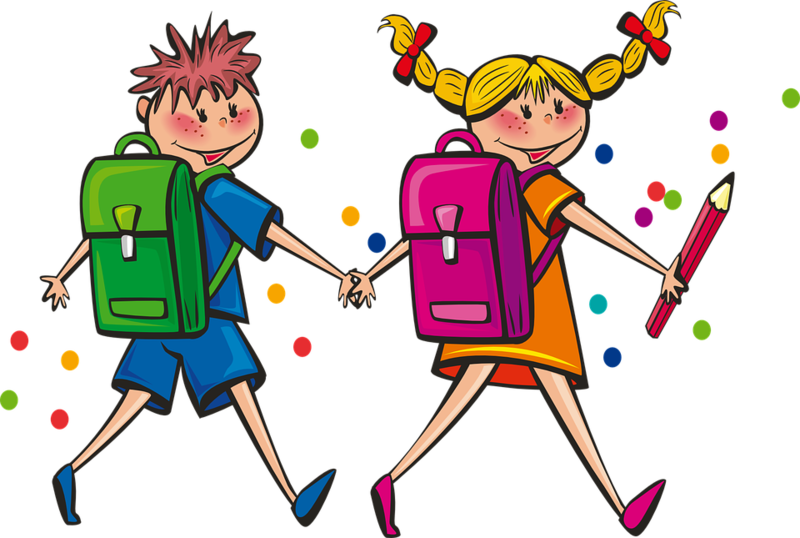 A Study Of Student Translation Strategies. en Tirkkonen-Condit, S. (eds.) (1991), Empirical Research in Translation and Intercultural Studies. Tubinga. Gunter Narr, pp.79-88. Valle Arias, A., Barca Lozano, A., González Cabanach, R. y Núñez Pérez, J. C. (1999). “Las estrategias de aprendizaje. 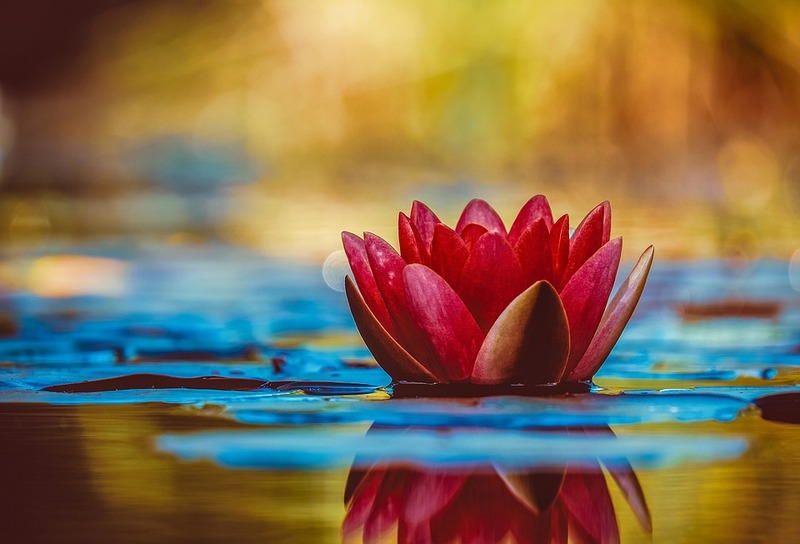 Revisión teórica y conceptual,” en Revista Latinoamericana de Psicología. Vol. 31, nº 3, pp. 425–461. Venuti, L. (2005). Strategies of Translation, Routledge Encyclopedia of Translation Studies, ed. by Mona Baker, Londres – Nueva York, Routledge. Vinay, J.P. and Darbelnet J. (1958/1969). Stylistique compare du français et de l’anglais. Paris: Didier.